Dr. Danny Lee's primary focus is on improving your vision, which in turn, will dramatically improve your quality of life. As a highly trained corneal specialist, Dr. Lee, has a wealth of experience effectively treating ophthalmic conditions, no matter how complicated and complex they may be. 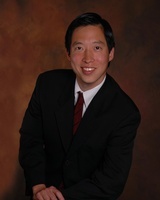 Dr. Lee has dedicated his life to providing patients with safe solutions to their refractive and ophthalmic needs.